Chemists have a range of duties, from analyzing and identifying the chemicals in your products, to researching to find other new applications for those chemicals to improve the quality of life, to creating models and testing theories. Chemists work with complex equipment which means they have to be able to troubleshoot tech issues and understand and be able to operate new technology. They are able to work in a variety of industries such as pharmaceutical, environmental, industrial and quality control, to name a few, but their constant task is to study and test compounds to learn their composition and discover their potential uses. 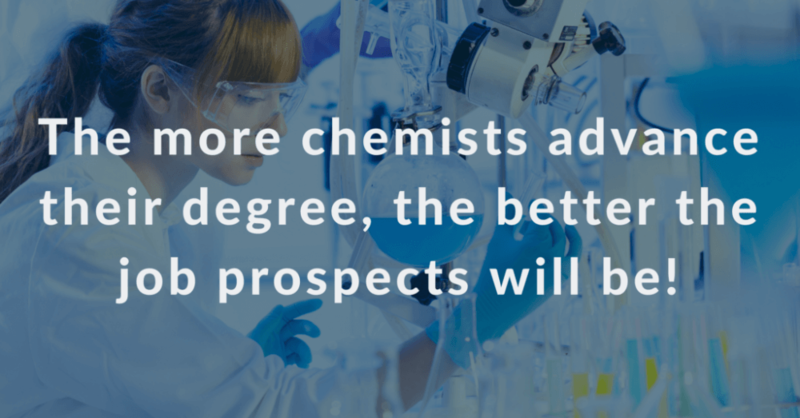 The more chemists advance their degree, the better the job prospects will be! Environmental scientists use research to improve environmental issues like pollution, sustainability, resource maintenance, replenishment and more. 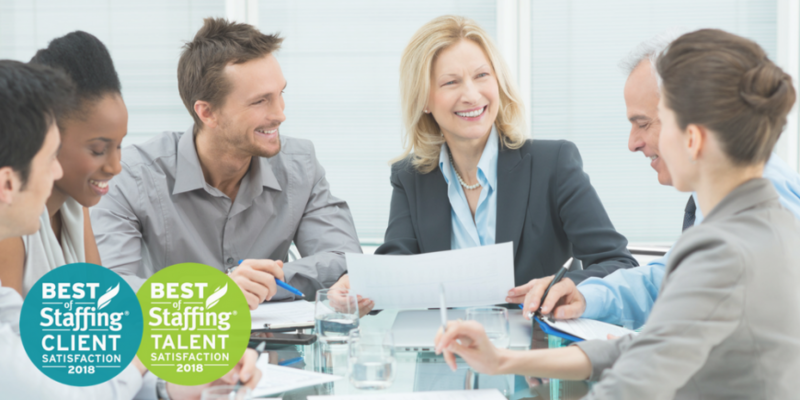 In many environmental science careers grant writing and report-writing are necessary tasks. Many environmental scientists work with state or local governments and can work in a variety of settings such as offices, labs, and even the outdoors. You can get an entry-level job with a bachelor’s degree in environmental science, biology, engineering, chemistry or physics. If you hope to keep advancing in your career, you should get a master’s degree. Medical scientists research to find out what causes diseases and how to prevent and cure them. 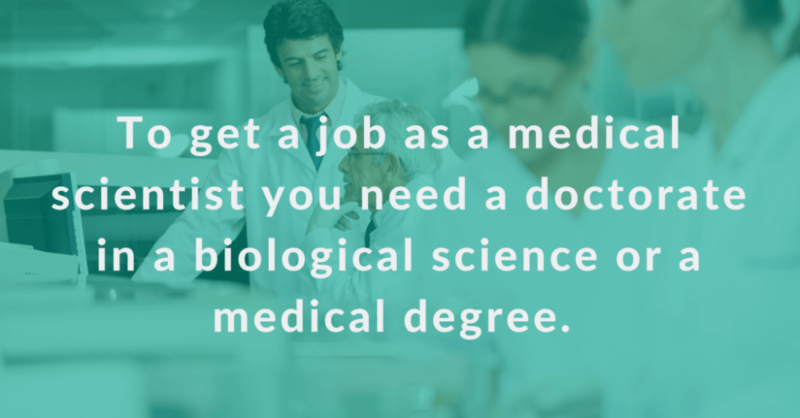 To get a job as a medical scientist you need a doctorate in a biological science or a medical degree (M.D.). Some duties of a medical scientist include interpreting clinical trial data, creating and implementing clinical studies, writing clinical study summaries and operating data collection systems. Medical scientists collaborate with colleagues in research, medical communications, sales, and marketing. Classes in public speaking and writing can help in this career path. 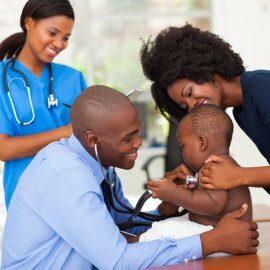 Unless a medical scientist has direct contact with patients, he or she doesn’t need a license, but those who will be administering drugs or practicing medicine will need to be licensed physicians. Forensic scientists investigate crimes by collecting, studying and documenting physical evidence, such as blood, fingerprints, hair and more. Sometimes they are called crime scene investigators. A forensic science career requires two years of special training or an associate degree in applied science or science technology. Some forensic scientists may be asked to testify in court as an expert witness to report on lab analysis. Working as a forensic scientist sometimes requires one to work overtime and sometimes holidays as you must be on call to collect evidence at times. Physical stamina is important in this field as you will need to be able to spend many hours on your feet as you work, as well as working long hours, sometimes outside in inclement weather to collect evidence. 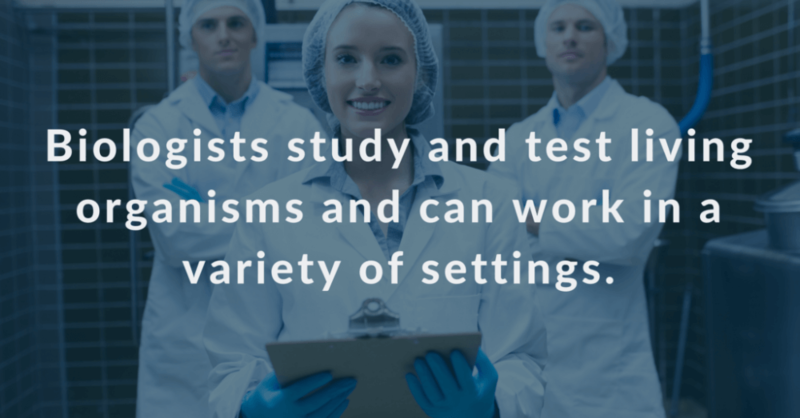 Biologists study and test living organisms and can work in a variety of settings such as in a university setting, doing research or in a laboratory setting. Duties might include gathering samples from land or water, surveying, mapping land, analyzing plant and animal data and the relationships between organisms and their environment. The education required for a career in biology depends on the position and can range from a Bachelor’s degree to a Ph.D. These are just a few of the many career paths you can take within the scientific industry. 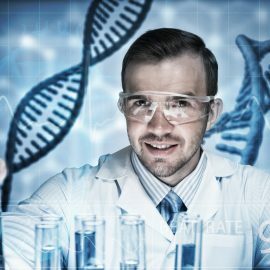 If you’re still not sure about pursuing a career in this versatile industry, check out this blog about the perks of working as a scientist.